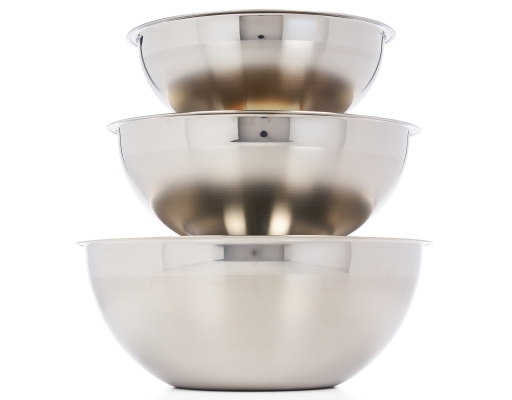 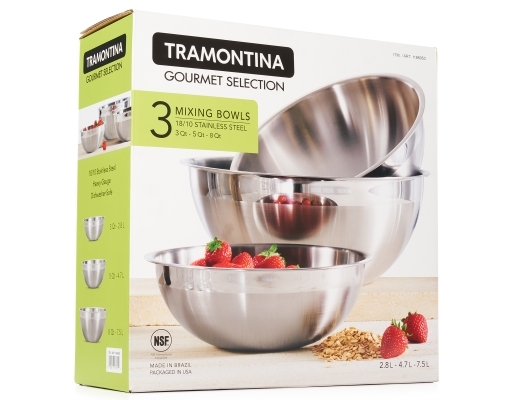 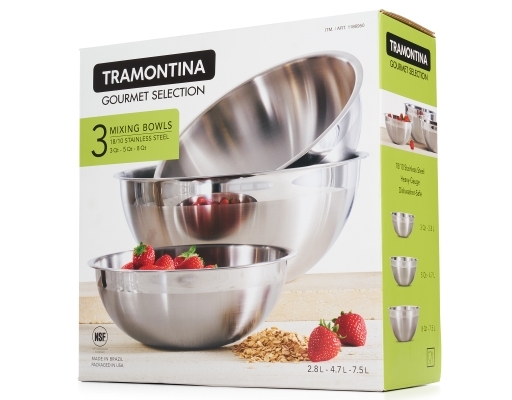 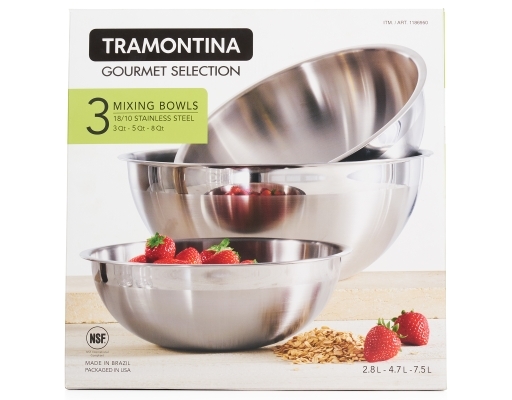 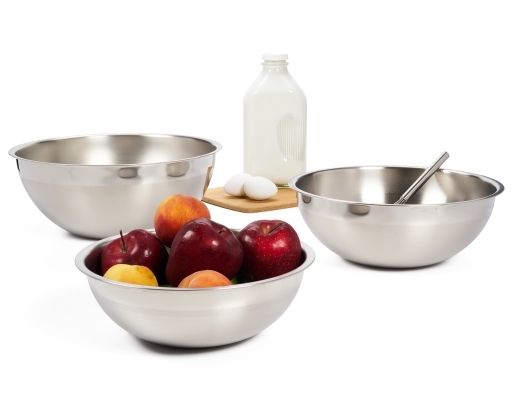 Tramontina Gourmet Selection Mixing Bowls are made of highly durable stainless steel which maintains the original shine, hygiene and durability throughout the life of the bowl. Its clean design without corners makes cleaning a lot easier. These bowls are ideal for mixing, storing and preparing food and can be used in the fridge or freezer. 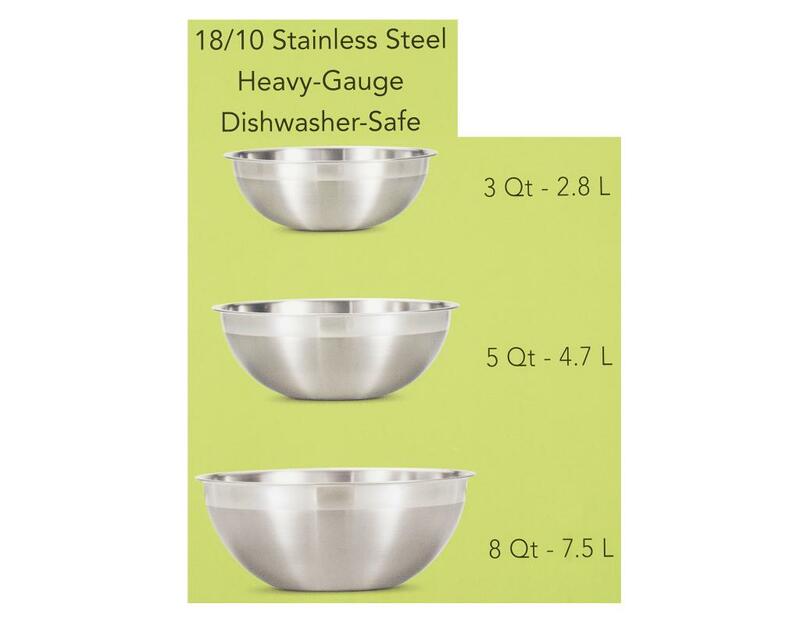 Safe for daily use and the dishwasher.